Contracts got you wrapped up in red tape? If you don’t get fresh air soon, you may suffocate from tech deal deprivation. Technology is constantly changing, and your wallet can’t keep up. Your technology must be up-to-date to stay connected to friends and family, and many jobs depend on keeping current on technology, too. 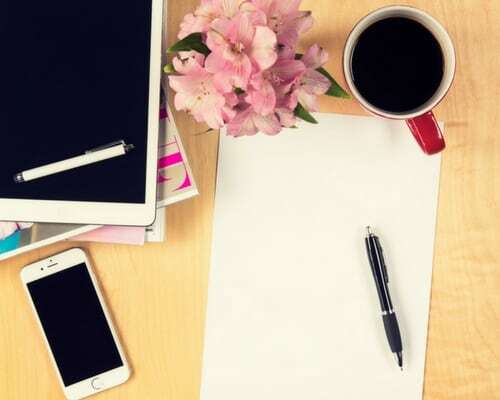 When you’re working at home or as a freelancer, you have to invest in a variety of gizmos and gadgets to get the job done. The initial sticker shock on a new release may leave you wide-eyed for weeks. So how do you keep up with shifting tech trends, when your livelihood depends on it? 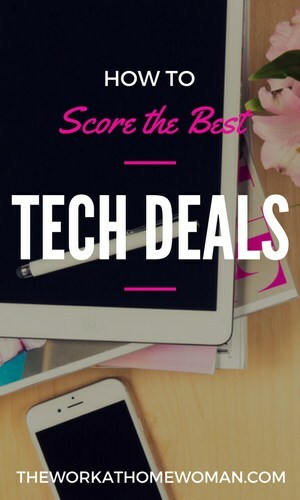 You don’t have to step down on quality to score the best tech deals. Every gadget has a warranty or insurance option these days. These companies want to keep your money in their business family, by making a product they repair themselves or contract out for service with their vendors. For specialized technology, this is understandable. However, these warranties increase the overall cost of the product, and according to experts, it’s not always worth it. With your extended warranty, you likely aren’t covered for the situations that typically happen. If you caused it, you usually cover it. Only 15% of products are covered by a manufacturer warranty when they break, with 10% being currently under contract or warranty, on average. Then, when you’re covered, you have to wait to send the device in and again to get it back. If you have a tendency to shatter screens and attract water to your devices, get the protection if the insurer will cover the cost. Unless you have a master plan to alter your DNA to be less clumsy, there are more logical alternatives. Read what the warranty does and does not cover. It may be more cost-effective to pay out-of-pocket by planning ahead. For the cost and quality of the device, could you set up an alternative warranty yourself by putting aside the amount into a savings account? Depending on the perks of your account, you may accrue interest on your self-funded warranty. Check your credit card rewards too, because you may receive an extended warranty on certain gadgets just for using your card. American Express and Visa Signature automatically extend the original warranty by a year, and the extension may be longer depending on the purchase and the length of coverage. Call your credit card company to learn more, and do your research before you click “Yes” on extended warranties and insurance. Shop Amazon and Read Reviews Religiously. Finding the best deal feels like searching for a needle in a haystack, or the one key missing from your keyboard. Sometimes, you don’t see it until you happen upon it. You need a marketplace with an optimized search engine. Enter Amazon. The key to navigating Amazon swiftly and sanely is to read the reviews thoroughly. Shiny gadget lookalikes hide everywhere. There are also great products that cut out the excess feature frills and still offer what you need. You may prefer to store your data on a cloud instead of on your device, for example. You may not need certain features that add to the overall cost of a product. Sometimes, portable and more affordable devices get the same job done faster and more efficiently without the extras. When it comes to basics, like cables and speakers, check out the tech from Amazon Basics. Sure, chargers and HDMI cables are easy grabs at most major retailers and dollar stores these days, but there’s a more affordable way. Ask yourself this: How often do these end up failing, and you end up wasting gas to go buy another? Stay well-stocked with your tech basics by buying them all at once, at an affordable cost and shipped to you. Save money, gain convenience, and keep the quality. Amazon has an amazing customer satisfaction reputation with returns, but be aware that third-party sellers may have their own policies. Regardless, you may file an A-to-Z Guarantee claim to get extra help with a return, if needed. Does the word “refurbished” scare you? Do you imagine a rejected product that some third party is trying to push on you? Refurbished products are as good as new products and are more affordable for your wallet over time. They’ve been through the market, exposed to buyers and reviews, and have been taken apart and put back together again. These products have been handled and fixed by people who know what they’re doing. When buying refurbished products, buy from the manufacturer or a recommended vendor (backed by the manufacturer). The product should be “factory certified” or have a similar label. These products sometimes come with a longer warranty but often are fully guaranteed for at least 90 days. The truth is that secondary markets will allow you to purchase top brands, with full warranty and support. More secondary markets with refurbished products are partnering with service vendors to provide quality products and service to buyers. These products are tested individually by experts who know what they’re doing and are often tech nerds themselves. Buy at the Right Time. Take advantage of new technology releases, holiday sales, and competitor market wars. Bide your time while everyone else is buying into a new contract to get the next hottest gadget. Read the reviews after the product hits the market. First releases are always buggy. Refrain from saying, “I told you so,” to trigger-happy techies, and silently thank them for helping you avoid the bugs. When new releases are coming out, non-trending technology is put on sale. But just because it’s a little bit older doesn’t mean it’s irrelevant or lacking in quality. Look for products that you’re able to take apart, repair or transfer services to, or which possess a solid foundation to run what you need. Read reviews while you’re in the store and compare prices. Mention that a competitor has the product for less, and see if the retailer will match or reduce their prices. Haggling is still possible. Sales continue after Black Friday, too. Cyber Monday has become a whole week for many retailers. There are also surprising sales on other government holidays, such as Columbus Day. The best time to make new tech purchases may not be during a holiday, though. According to Consumer Reports, October is the best time to buy desktop computers and digital cameras. Sales often catch you by surprise, but you’d also be surprised by what’s in the understock or backstock. There may be display models or a few leftovers that haven’t sold. Describe your basic needs, and see what a customer service representative can do for you. Make it a habit of asking for what's leftover in stock, and keep your eyes peeled for what goes on sale and when. Locate Your Local or Friendly Online Gadget Geek. You need a go-to person who’s locked into the market and obsessed with what’s new, what’s classic, what won’t die if you hit it with a sledgehammer, and what will get you the biggest technological bang for your buck. Everyone has that one gadget geek friend that obsessively reads technology blogs and takes apart computers and cell phones. Ask that friend for help, or subscribe to some awesome tech blogs to stay on top of the best deals. Look for hidden gems. These go-to people and blogs were the first to know how to unlock phones, how to get out of contracts legally, and how to take apart virtually anything to soup-it-up. There’s someone out there who knows what you need to know. Hack Your Contract or Ditch It. It’s time to ditch the red tape, or at least make it more comfortable while you look for something better. Get off the upgrade hamster wheel, and contribute to making the market better for consumers by buying out. Consider cell phone plans as an example. For a while, Verizon Wireless was cashing in on people going over on data monthly but faced major review backlash. More and more customers were switching to carriers like Straight Talk, Metro PCS, or Page Plus Cellular. Verizon began letting users carry over unused data and allowing them access at slower speeds without charging extra once they went over the contract limit. What you need to know is that these secondary carriers run off the infrastructure of the mainstream networks. Using only 3G networks or enduring dropped calls are both becoming less of a problem. Page Plus Cellular uses Verizon’s network. These types of carriers offer comparable or higher data caps for less money, but you may have fewer minutes. Often, these accounts are customizable based on what you use each month. Since unlocking your phone is legal again, it’s easier to switch and put the power back into your pocket. All four mainstream carriers will let you unlock your phone, but your bills must be paid on time and your contract fulfilled. Some carriers require a digital pin code to unlock a phone, but those are usually a set code for the carrier. Make sure your phone will work on another network. Call the companies. Get the code. Set up your account. Insert your new SIM card, and you’re ready to go. If you love your carrier’s offerings but hate the cost, consider going prepaid. Don’t be restricted by the red tape of a contract, and make the feature adjustments you need as the circumstances arise. Pay your account to date, and talk to customer service. No one likes waiting on the phone and navigating the automated system, but it’s better than waiting for costs to go down when you can get the same quality for less now. Sometimes, it’s best to ride out your contract — especially if you’re on a fixed income. But research and plan now. If you can arrange a payment schedule on an overpriced contract, automate those payments and watch your usage. Do that until you’re able to get out of the contract. Know that you may alter your plan to fit your monthly usage and reduce your bill accordingly, to save for something better. Finding the best tech deals comes down to research and legwork. If you’re not going to be using a device frequently and to its full capabilities, why buy it? Merely because it’s trending? Forget that. In the end, you save more money and get better tech by playing the wait-and-see game. Stop upgrading on a fixed schedule. Unwrap yourself from the red tape and look closely at the fine print. Break the cycle before it breaks your budget. Learn about the technology you’re using. Follow tech blogs and read reviews. Where there’s a will, there is a way to hack, root, program, or build what you need out of great technology that’s tried and true. Let newer tech stew a little before you make a major purchase and score great tech with high quality at affordable prices! Should You Focus on Making Money or Saving Money?